Om Swastiastu We come at a time in our life, where we are looking for something more meaningful, something to fulfill us in this crazy busy life, we are looking to be at peace, at least within ourself. 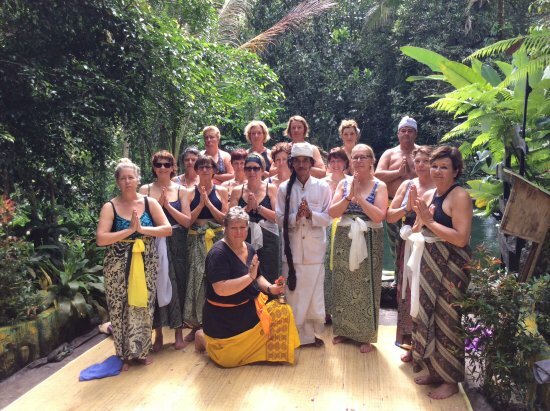 We want during the course of this journey, give you an opportunity and help you transform yourself, we will share our experience, knowledge and our daily life with you, meeting our personal gurus and you will witness the spiritual magic of this island, Bali. Located in the charming village of Munduk Dusun Tamblingan. Situated on the exotic region, Terrasse Du Lac offers breathtaking views of the lake Tamblingan below, surrounding chain of mountains and sea shore from behind. Customized idea of casual concept developed with authentic Balinese hospitality, enchanting delightful dining experience. Savour international inspired and indonesian specialities surrounded by stunning atmosphere of Tamblingan Lake and mountains. My absolute favorite place! Cozy and cute accommodation, fireplace to keep you warm in Chicago weather of Munduk area, tasty and very filling breakfast with perfect view of Tamblingan lake. Special thanks to the most welcoming and accommodating staff. This place will ALWAYS be my choice of accommodation every time I will be back here again. Thank you! Amazing stay, food and trekking! We had an amazing stay in munduk at terasse du Lac tamblingan. We had the chance to do the wonderful cooking class, the trekking was great with the canoe, the awesome food at the restaurant and the stay with the fireplace. They also helped us with transport. Great experience in Munduk! The villas are new and well decorated, the view is magnificient , I also enjoyed a cooking class with Made the owner,Susan the other partner is very warm and friendly.I also enjoyed the menu.It was refreshing ,the weather is cooler.Made provides different tours including trekking and more.